If you’re of a certain age, you just got very happy. You also just acquired your ear worm for the next few days. The old codger in the audience is correct (they usually are, but we don’t like to encourage that kind of behavior…). Felix the Cat was the biggest cartoon star of the silent era – bar none. He was the first giant balloon in the Macy’s Thanksgiving Day parade. The Yankees adopted him as their mascot in 1922. Charles Lindbergh took a Felix doll with him on his famous transatlantic flight. His image was the very first ever broadcast on television (the engineers used a cutout to practice their focusing and transmission). Not counting the later television series, over one hundred animated shorts were released, beginning with Feline Follies in 1919 (where he was called “Master Tom.”). Where did Felix the Cat come from? Now, that’s a sticky problem. The owner of Felix the Cat, and the man whose name is always on the title card, was Pat Sullivan, who owned the animation studio which released the shorts. Some evidence exists to support that claim, including an earlier cat he had personally animated. But most animation historians credit the primary artist for much of the series, Otto Messmer, with creating Felix. Messmer had already been doing an animated Charlie Chaplin series, and Felix resembles Chaplin’s movements and attitudes to a high degree. Messmer would also be the main force in creating Felix’s look and personality as time went on. Sullivan had little to do with the actual production of the cartoons, although he spearheaded the kind of licensing of Felix the Cat products that the Disney Studios would later turn into a commercial behemoth in the Thirties with their own characters. Felix was revolutionary in animation not merely for his charisma and inventiveness, but also for the way in which he was drawn. First, Messmer invented a solid black body, which was later used by Disney for Mickey Mouse and other characters in his black and white shorts. Second, Felix helped move cartoons from mere strings of jokes into animating a consistent character who had human qualities (a path Disney would expand upon enormously). 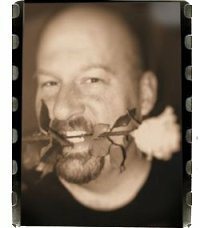 Leonard Maltin quotes Messmer on this issue: “I found that I could get as big a laugh with a little gesture – a wink or a twist of the tail – as I could with gags.” Third, Felix was smart. He thought his way out of situations, indicated by his famous walk, bent over, with his hands behind his back. Finally, Felix was imagination itself. Reality would bend or unbend depending on his whims. His tail could be removed and turned into almost anything. Felix became so successful, he emerged as a star. Perhaps the best evidence of this is the 1923 cartoon, Felix in Hollywood, in which he hobnobs with Chaplin, adventure star Douglas Fairbanks, Sr., cowboy star William S. Hart, censorship czar Will Hayes, and wild-eyed comedian Ben Turpin. Disney and Warner Brothers would later turn this gimmick into a regular feature in several cartoons, sending their own characters to meet the stars of the day. Felix had one more landmark to reach: like so many live-action silent stars, his career died out with the coming of sound. An essentially silent character reliant on visual humor, Felix’s popularity was rapidly ripped away by a certain mouse in his first appearance in an all-sound short, Steamboat Willie. Felix soon became a losing proposition in the movie theaters, but he survived in the comic strips and books for a long time before making his return to television in the Fifties. 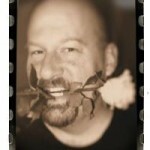 Pardon me while I go back on nostalgia road – and stay offa my lawn! John Canemaker, Felix: The Twisted Tale of the World’s Most Famous Cat. Pantheon Press, 1991. This entry was posted in History of the Arts, InFocus on February 25, 2015 by Artograph. 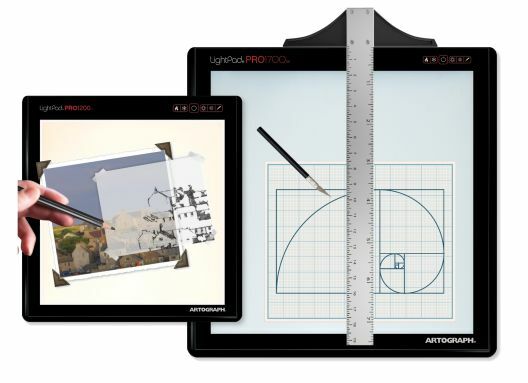 With a greener, more energy-efficient take on the classic animator’s light boxes, the Artograph LightPad LX and LightPad PRO give a choice for every art type and price range. Animators of all levels, including those ultimately transitioning their final artwork to 3D wireframe computer animation, will appreciate the ability to create accurate key frames for points of motion, and character modeling, with the Artograph LightPad series light boxes. They are professional tools now available to every artist.